Craig Norwich approached practices with the ferocity of a pit bull. One-on-one drills might as well have been cage matches, complete with folding chairs and barbed wire. Norwich was the same in games as he was in practice. Which is to say he would rather chew broken glass than lose a corner battle, much less a game. 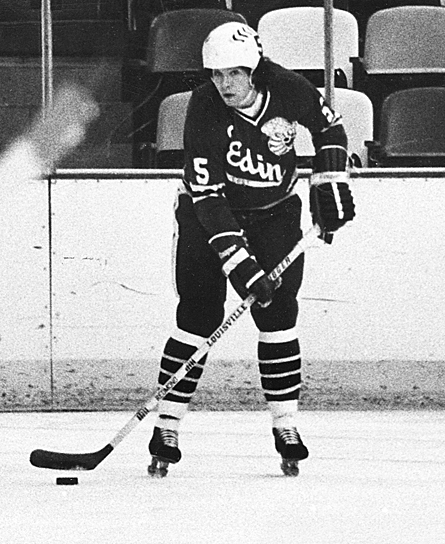 A standout forward going through Edina’s youth hockey system, Norwich was shifted to defense entering his sophomore season in 1971-72. Ikola prized puck-moving defensemen, and it was a common occurrence for the Hornets’ top Bantam-aged players to be moved to the blue line. The position switch suited Norwich, and he made the varsity as sophomore. By Christmas break, thanks to his unmatched practice intensity -- and a bit of good fortune -- Norwich had worked his way into the Hornets’ top-four rotation. Norwich’s big break his sophomore season came as Edina was returning from a game the night before in International Falls. The Hornets had a block of ice time scheduled in the afternoon, and Ikola wanted to make use of it. The six-hour bus ride ended at Braemar Arena, and Ikola said one of his top defensemen was unable to make the practice. “Norwich stepped right in there, and that guy never got his spot back,” Ikola said. The competition for varsity roster spots at talent-rich Edina, and how easy it was to slip in the pecking order, wasn’t lost on Norwich. 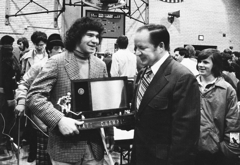 Edina went undefeated during the 1971-72 regular season. The Hornets, who entered the state tournament with a 22-0-1 record, were upended by Grand Rapids 3-1 in the quarterfinals despite outshooting the Indians 38-19. “That was the foundation for my professional career,” Norwich said about playing in the state tournament. “No matter where I played in the world, I could always draw from 18,000 people screaming at the Met Sports Center, scaring the hell out of you. 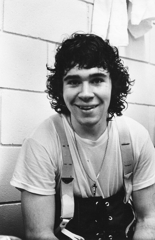 Norwich was a junior in 1973 when Edina added a second high school, Edina West. Edina High School was renamed Edina East. The Hornets went 20-1-2 during the regular season and squared off against defending state champion International Falls in the quarterfinals. In one of the state tournament’s most memorable quarterfinal matchups, Norwich and International Falls’ Buzzy LaFond broke a scoreless tie by trading third-period goals. Norwich’s goal with 25 seconds remaining extended the game into overtime. The Broncos’ Paul Brown finally beat Hornets’ goaltender Frank Zimmerman in double overtime. Edina East beat Bemidji 7-1 and lost 3-2 to Minneapolis Southwest in the consolation round. Norwich’s last chance at a state championship game came in 1974, when Edina East again entered the tournament with an unbeaten record. There would be no opening-round stumble this time, as the Hornets routed St. Paul Harding 9-0 in the quarterfinals. Norwich had two assists in the semifinals, both coming in the third period as Edina East rallied from a 3-0 deficit by scoring five unanswered goals en route to a 5-3 win. The Hornets routed Bemidji 6-0 in the championship game for the school’s third title in six years. 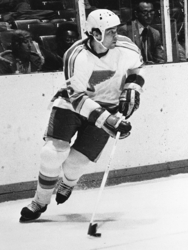 “Norwich was the king of fundamentals,” said Reed Larson, a star Minneapolis Roosevelt defenseman in 1974. 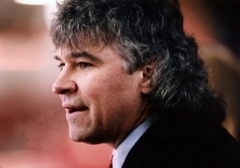 “He was smart, he had a great shot that he always got on net, he had the spin-o-rama, and he really loved to pass. Ikola has no doubt Norwich, had he played forward, would have been a goal-scoring machine. Norwich offered a taste of his stickhandling and scoring ability as a senior in a scrimmage against St. Paul Academy. “We had the flu bug, and about five guys were out,” Ikola said. “We only had about 10 healthy bodies, and we moved Norwich up to forward so we would have two lines and three defensemen. Norwich received scholarship offers from most major college hockey programs. 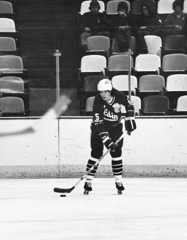 University of Minnesota coach Herb Brooks told Norwich he wanted to move him to forward. Bob Johnson at Wisconsin wanted to use Norwich at defense. Norwich said he liked the idea of being on the ice every other shift as a defenseman, and he chose the Badgers. 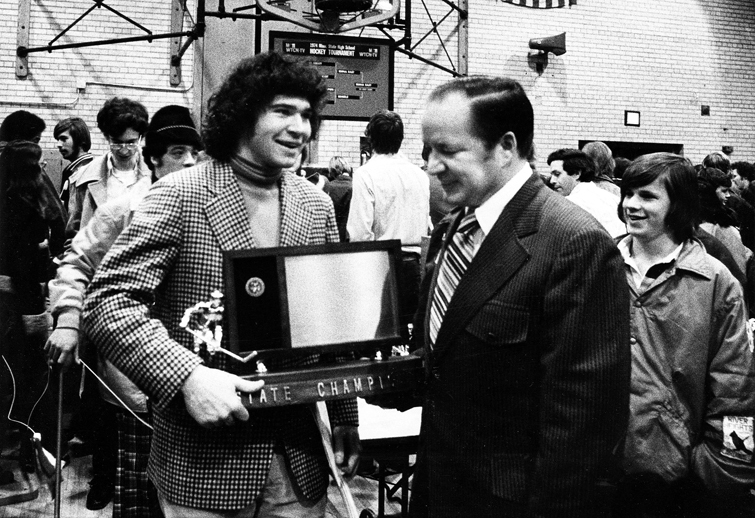 Norwich scored 45 points in 38 games as a freshman at Wisconsin in 1974-75. He led the Badgers to a national title in 1977. 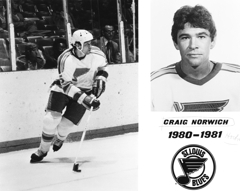 He turned professional the following season with the Cincinnati Stingers of the World Hockey Association. Norwich played in 104 NHL games during his 10-year pro career that ended in 1987 in Italy. 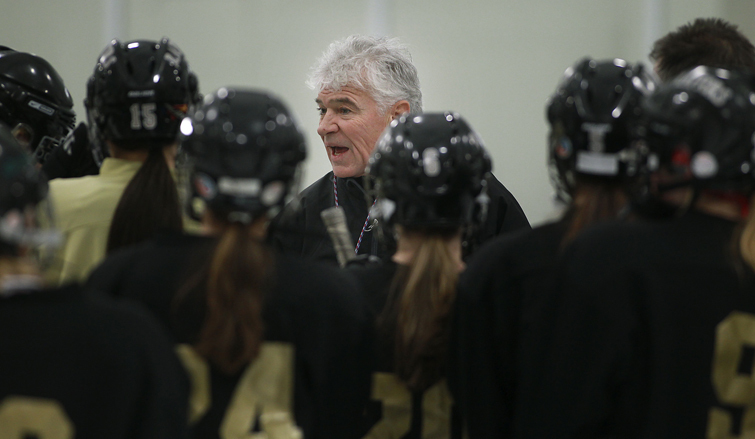 He founded the hockey program at Shattuck-St. Mary’s and is in his first season as the head coach of the East Ridge girls’ hockey team.